Health insurance premiums continue to soar. Waste is abundant. Millions go uninsured or under-insured. Who better to offer some practical suggestions on how to turn the ship around than those who know medicine best? Physicians! 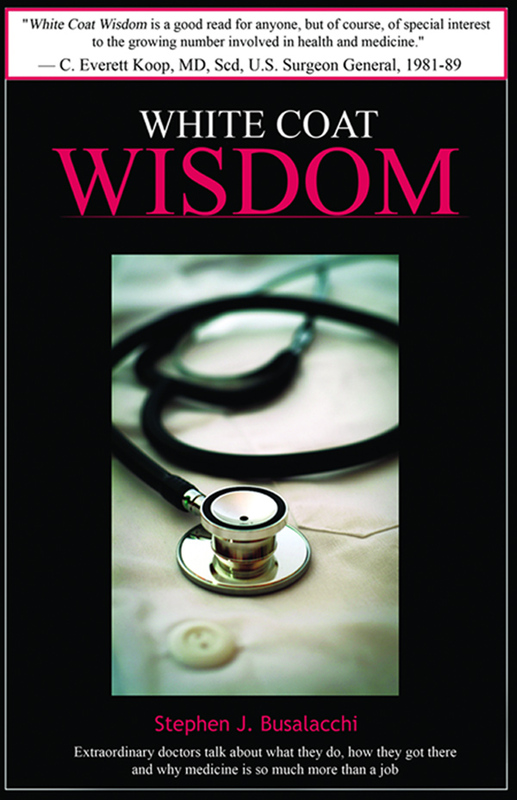 In his exciting and thought-provoking presentation, medical journalist and author Steve Busalacchi discusses what he’s learned after extensive interviews with several dozen notable physicians featured in his book, White Coat Wisdom: Extraordinary doctors talk about what they do, how they got there and why medicine is so much more than a job. During his 25-year medical journalism career, Steve has interviewed a great many physician leaders. Such access to the brightest minds led to White Coat Wisdom, which has been endorsed by former U.S. Surgeon General C. Everett Koop, MD and the Mayo Clinic Proceedings. Steve has reported for NPR and Wisconsin Public Radio, and is an Honorary Fellow at the University of Wisconsin School of Medicine & Public Health.